Description: The leaves of this small plant are composed of three distinctly heart-shaped leaflets which are usually strongly creased along the midline. This plant has a distinctly pleasant sour taste. Edibility: The leaves can be eaten raw or steeped in hot wated and cooled to make a refreshing drink. Eat in moderaltion as the oxalic acid in this plant can bind to calcium in your body forming calcium oxalate crystals and depriving your body of calcium. Other Notes: The word 'sorrel' denotes sourness. 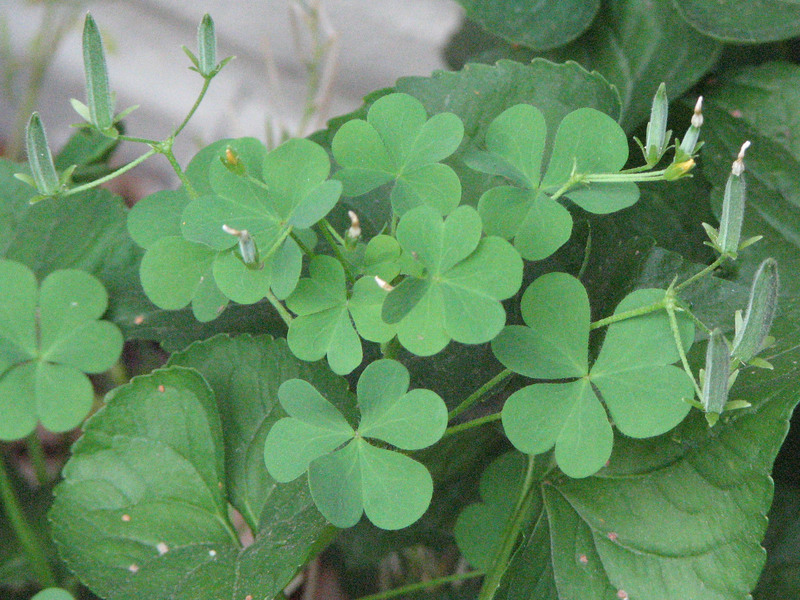 This word appears in the common names of a few other sour-tasting plants, such as Sheep Sorrel.